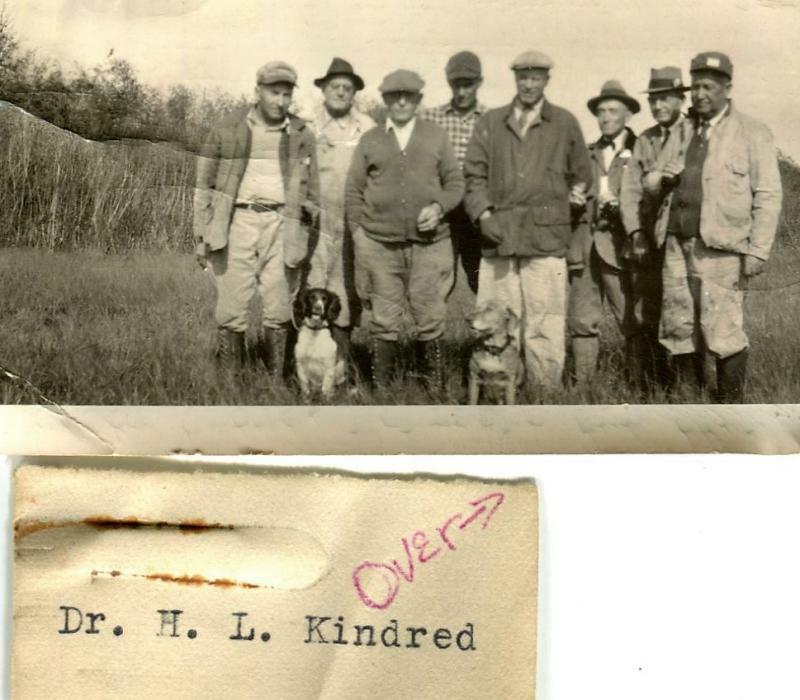 Comments: KINDRED (Nee: ) | MEADOW GROVE NE USA | 1941-1960 | Comments: ON BACK "MEADOW GROVE , NEBRASKA GUN CLUB, ANNUAL HUNT , PHEASANT SEASON, 1941. PHOTO BY FOREST PAINTER OF OMAHA . WITH THIS LITTLE MEMENTO OF THE HAPPY TIMES WE AHVE HAD TOGETHER PLEASE ACCEPT MY SINCERE THANKS FOR THE KINDNESS, FRIENDSHIP AND COURTESY SO GENEROUSLY BESTOWED BY YOUR FINE LITTLE TOWN . IT MAY BE SMALL IN NUMBERS , BUT MIGHTY BIG IN THE THOUGHTS ,MEMORIES AND THE GOOD WISHES OF HEART . SINCERELY V PAINTER. ONE OF SEVERAL PHOTOS DONATED BY MELANIE IN AN ANTIQUE STORE FORT GIBSON OKLAHOMA .. CLICK "OTHER PHOTOS SUBMITTED" BELOW TO SEE THE PHOTOS DONATED .